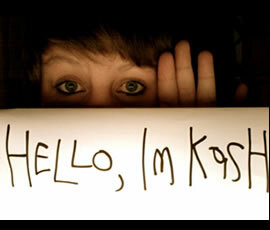 Hey, I’m Kashka. I’m a poet-journalist-writer and I live in New Zealand’s best city, Hamilton. I work in the mighty Waikato full-time as a journalist and I also happen to rep the label poet when occasion allows. I’ve performed in two Readers and Writers Festival slams, won the inaugural Hamilton Poetry Slam and spot performed at a few different events. I figured I was more than a little into poetry after a metaphor that I used (where I compared myself, and my patience in catching the perfect wave, to a scarecrow in a cornfield) got a pretty positive response in a year 3 writing competition. Pretty impressive right? Since then, I’ve taken the whole thing a little more seriously. Spoken word poetry became a big part of my life about two years ago when I discovered poet Sarah Kay and a whole host of others such as Taylor Mali, Anis Mojgani and George Watsky. My favourite spoken word piece is Suheir Hammad’s ‘First Writing Since’. I also have a feverish passion for poets such as Robert Frost, John Keats, Allen Ginsberg, Hone Tuwhare, Maya Angelou, Langston Hughes, basically any poet who has ever said anything.